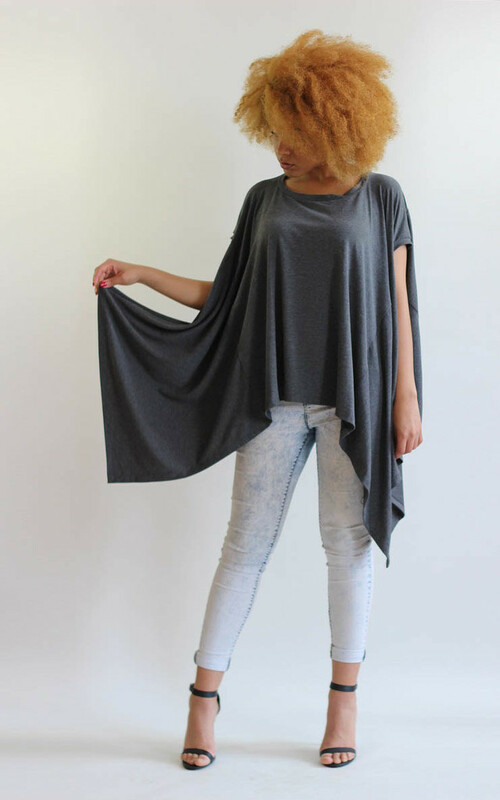 Cotton blend jersey oversize drape top. Oversize cut that drapes from the bust, with clever seaming that creates a waterfall effect. One size fits UK 10 - 20 with an armpit to armpit measurement of 90cm. Model is 5'8" and is a UK 10. Model is 177cm/ 5'10" and is a UK 10.